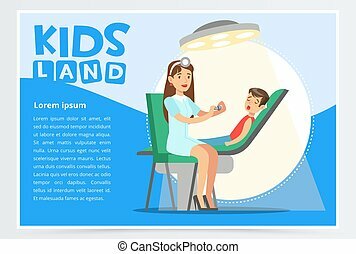 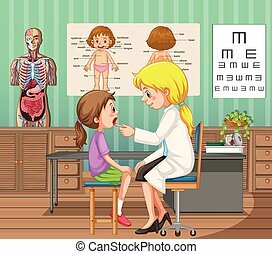 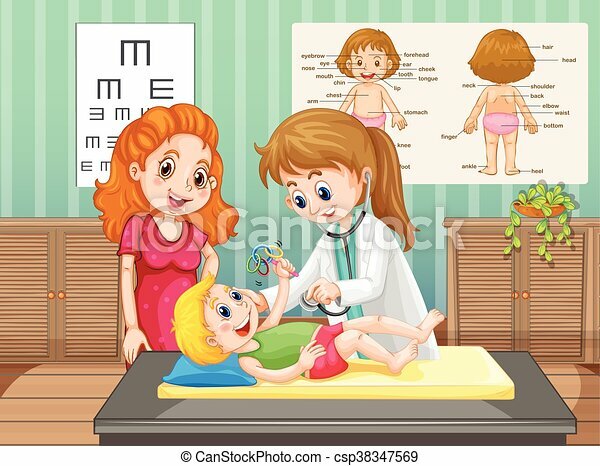 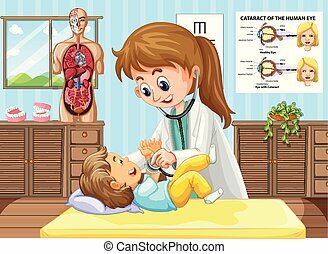 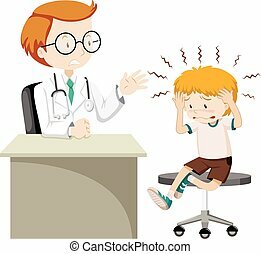 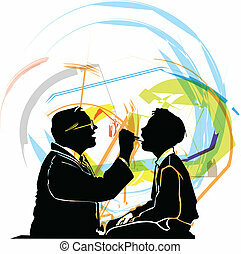 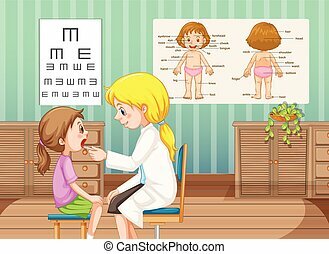 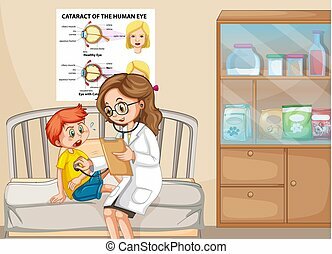 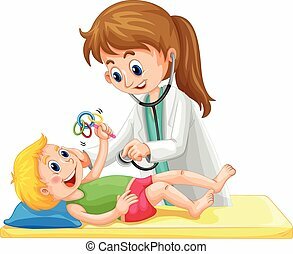 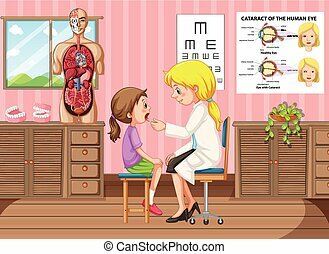 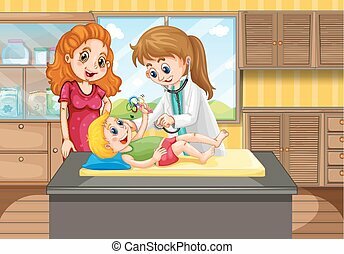 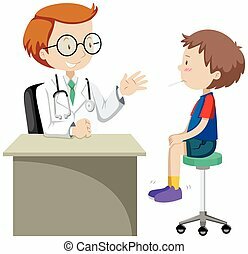 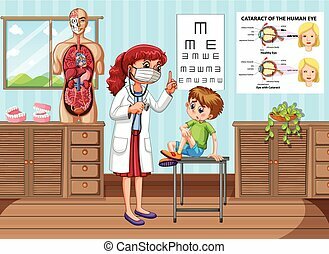 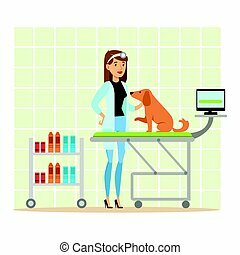 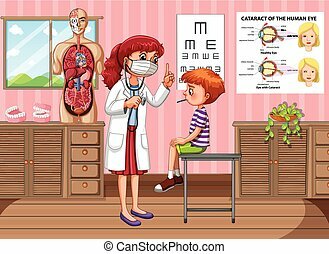 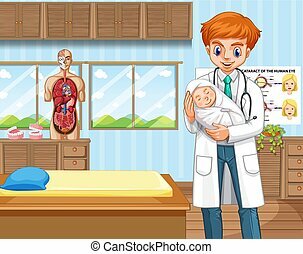 Doctor examining little boy in clinic illustration. 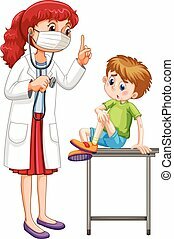 Boy with rash visiting family doctor in clinic. 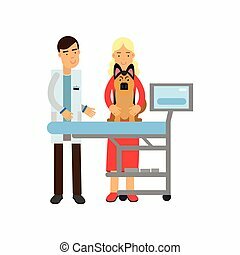 Cartoon character of woman therapist and sick patient. 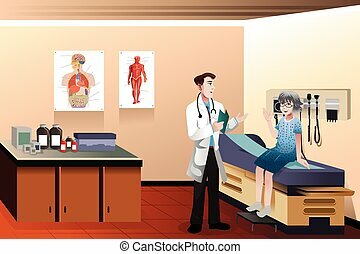 Medical service concept. 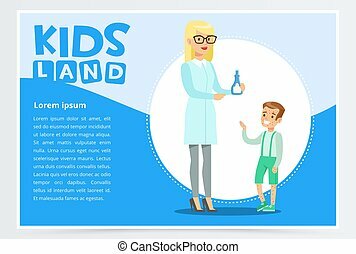 Modern vector illustration in flat style with blue and white background. 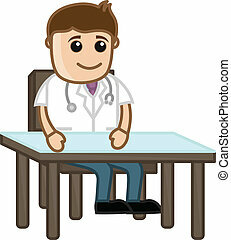 Doctor visit in clinic icon. 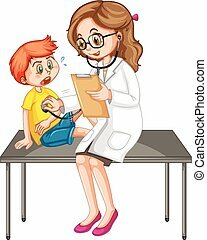 Medical treatment and healthcare, clinical analysis, medical examination vector illustration. 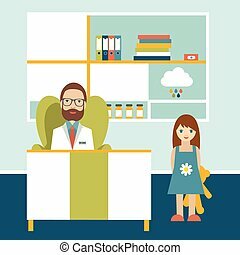 Family doctor s office in clinic boy on dental armchair, female dentist sitting nearby. 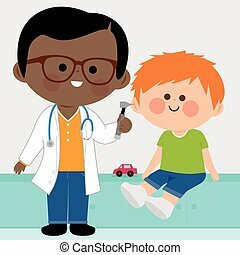 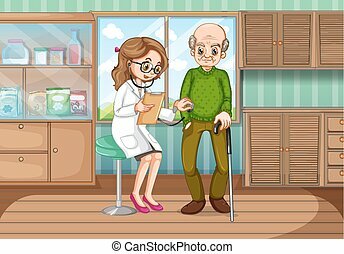 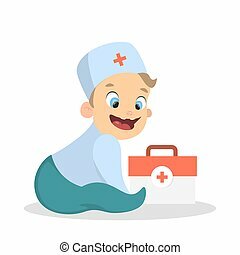 Cartoon character of medical worker and patient. 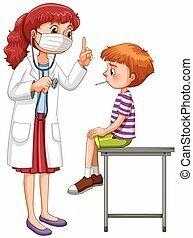 Dental care service concept. 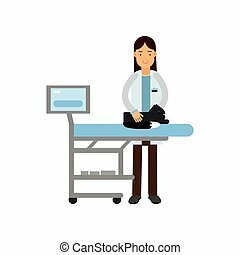 Flat design vector illustration.